Firefighters With Extinguisher Spraying High Pressure Water To Fighting The Fire Flame In An Emergency Situation. Lizenzfreie Fotos, Bilder Und Stock Fotografie. Image 116539905. 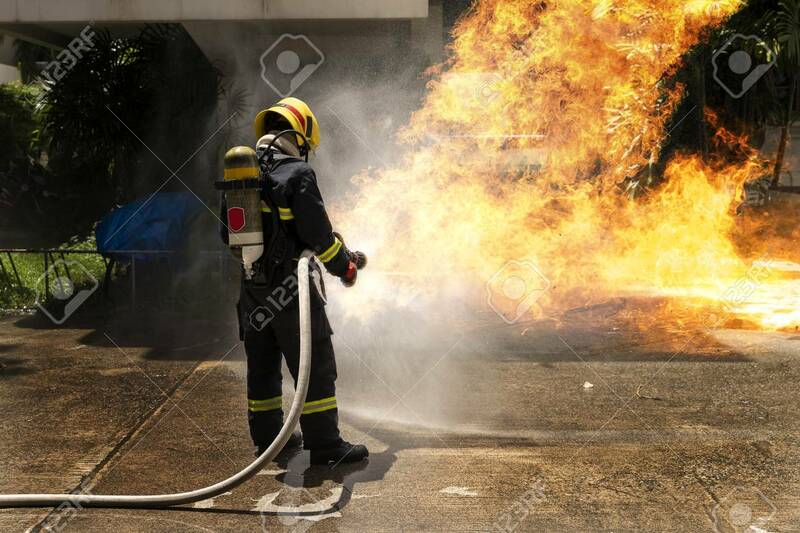 Standard-Bild - Firefighters with extinguisher spraying high pressure water to fighting the fire flame in an emergency situation. Firefighters with extinguisher spraying high pressure water to fighting the fire flame in an emergency situation.